It has come along way and oh how so much wrong has been done to it! Chewy chunks of battered pork fried in rancid oil topped with syrupy sauce is not my idea of Chinese food. 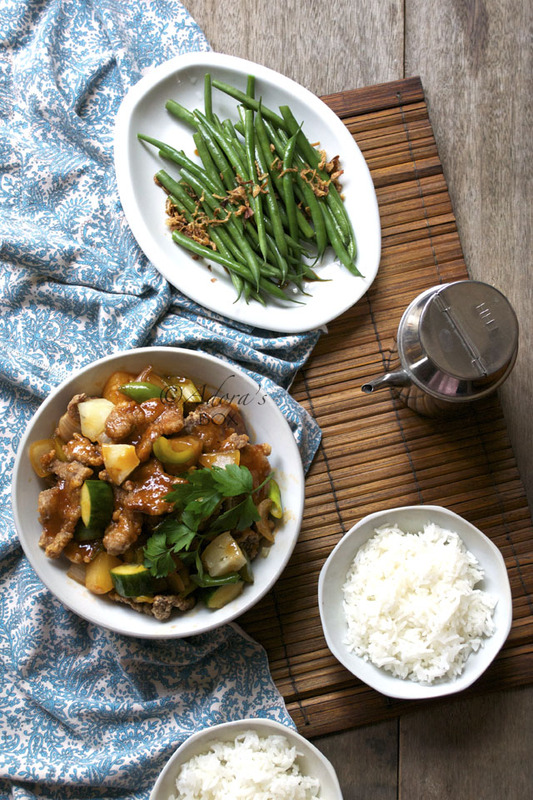 My idea of the perfect sweet and sour pork has been so rudely crushed. I know that some restaurants still do the right thing and I don't mean to disrespect them. 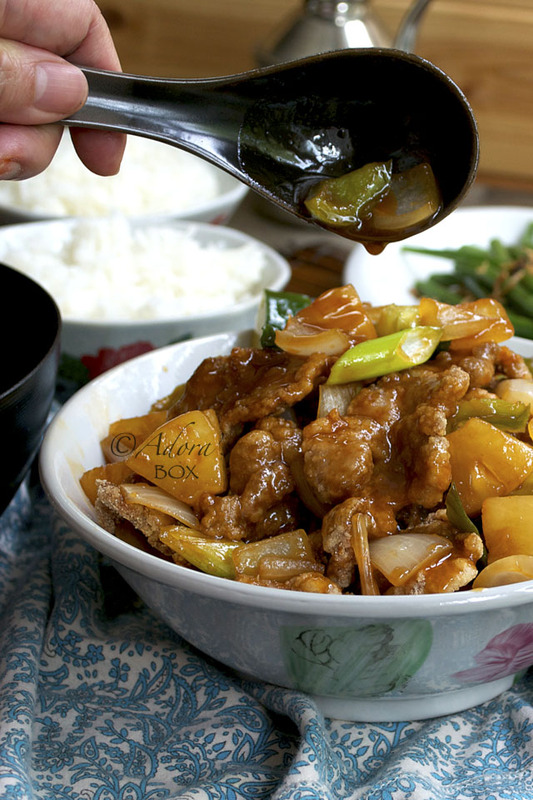 Sweet and sour pork is a simple and delicious, iconic Chinese dish and it deserves to be made the right way. I take my food seriously, you must know that by now. If there is a dish that I really like and can't find a restaurant that serves it well, I try my best to make my own version the way I like it. Every component matters to the whole dish. The pork has to be tender, with a light crispy crust. 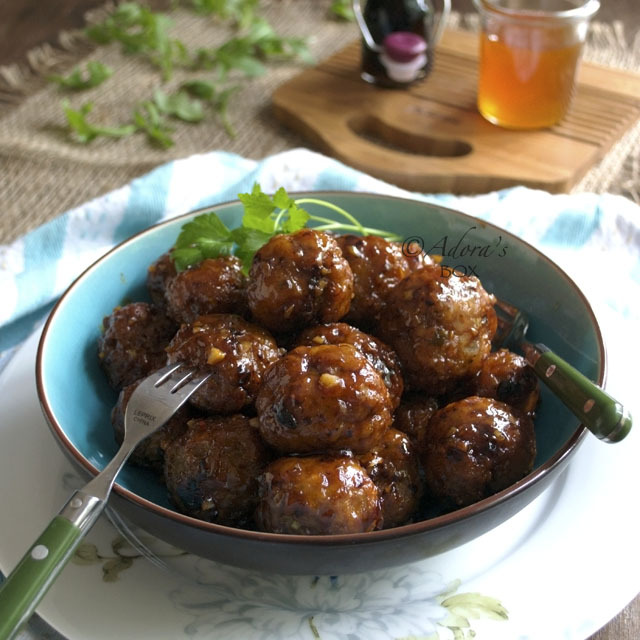 The sauce has to have a balance of sweetness and tanginess (never too sweet nor too sour). When mixed together, the sauce will be absorbed into the crust and change its texture. This is the best part I like. 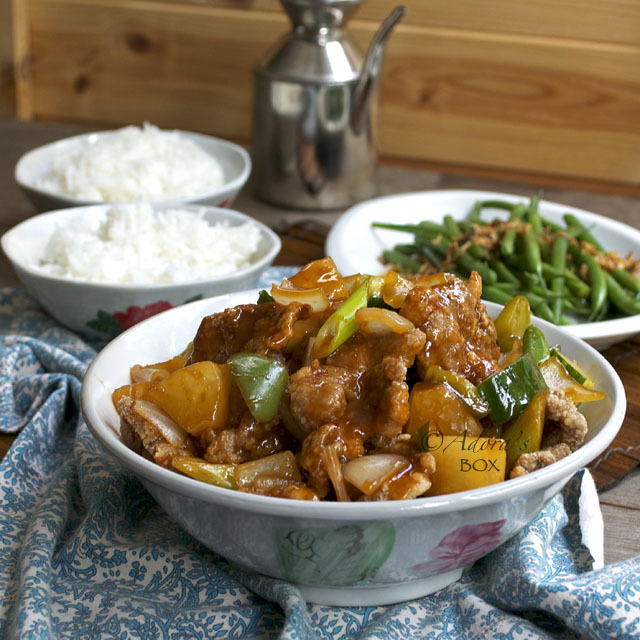 The pork, as it sits with the sauce, becomes encased in a gelatinous sweet and sour coat. 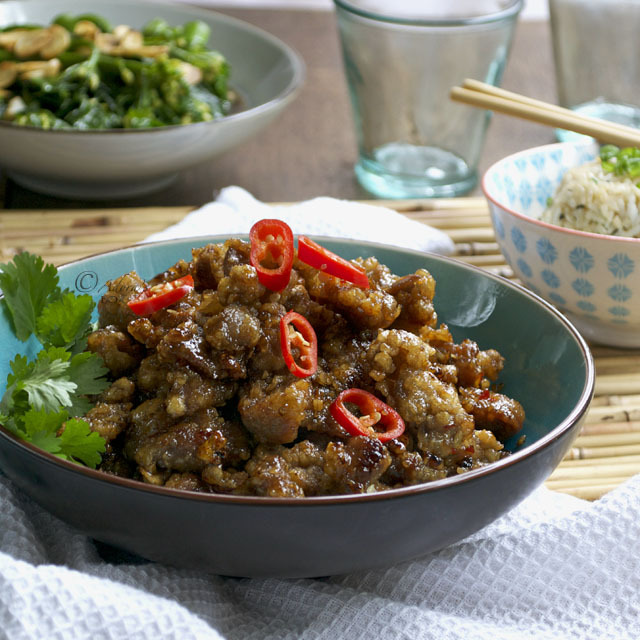 The best way to enjoy this dish is to pour the just cooked sauce on the fried pork just as it is to be served so that some of the pieces will remain crisp. My twist is to add cucumber chunks at the end of the cooking process to give it an additional fresh element. 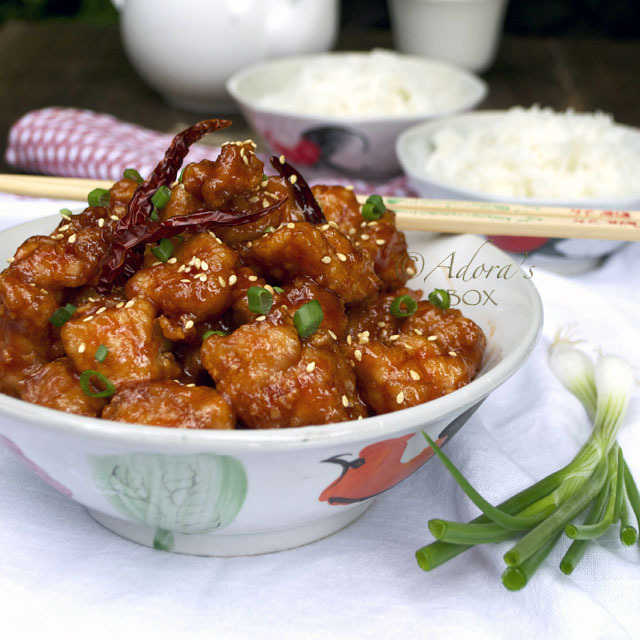 To us Asians, the test to how delicious a dish is is how good it tastes when eaten with rice. Sweet and sour pork passes with flying colours. Mix the soy sauce, salt and sesame oil in a bowl. Add the pork pieces and mix. Sprinkle with 2 tbsps. of corn flour and stir to coat. 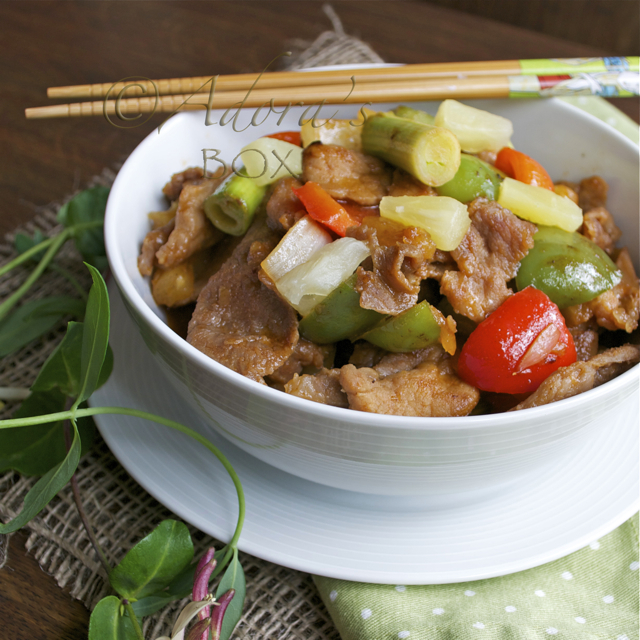 Beat the egg white and stir into the pork pieces. Dredge each piece lightly in corn flour. Shake off the excess. Leave for about 10 minutes to let the flour cling to the meat. Heat up some cooking oil in a shallow pan. 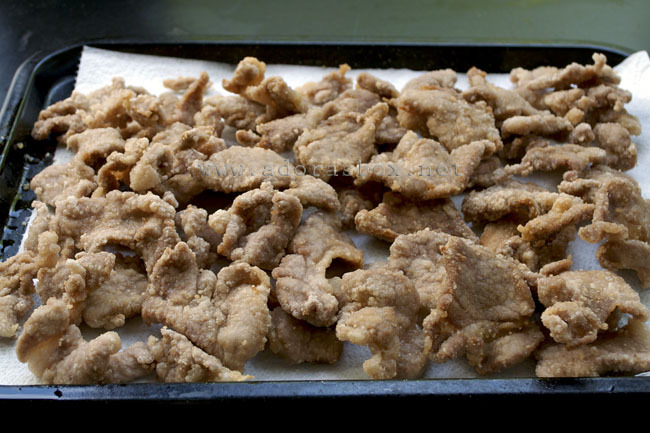 Fry the pork pieces over medium heat for about 1 minute until light brown and crisp. Leave aside to cool for a bit, about 15 minutes. Re-heat the oil. 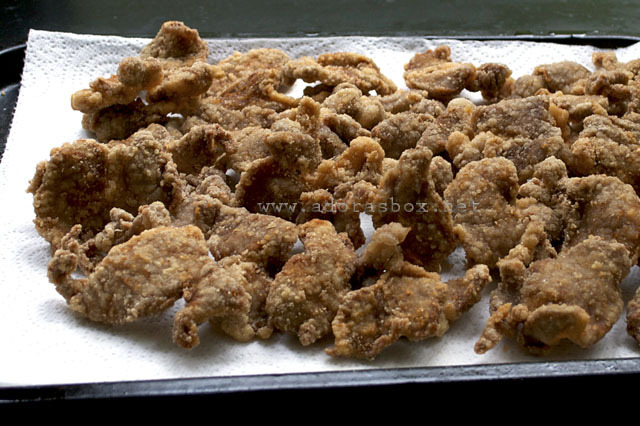 This time fry the pork pieces a few at a time until very crispy and golden brown. This should take about 1-2 minutes. 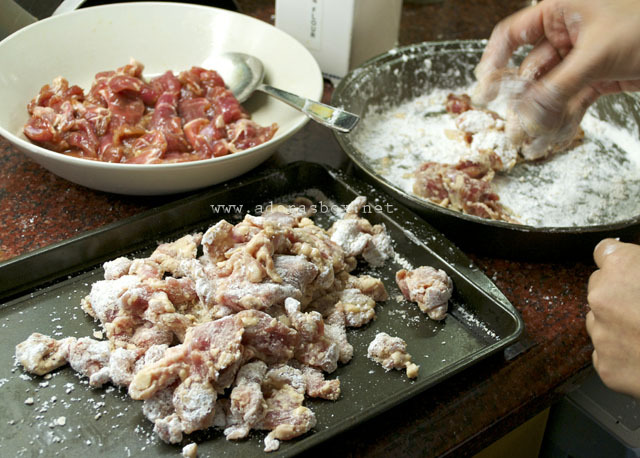 Transfer the pork pieces to kitchen paper lined tray, then to a serving dish. Mix the ketchup, soy sauce, pineapple juice, brown sugar and the corn flour dispersed in water. Set aside. Heat up a wok until very hot. 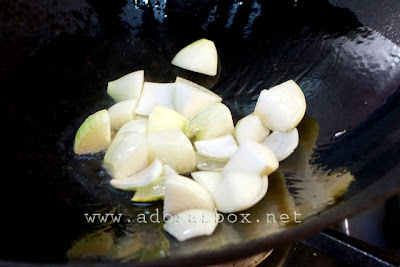 Add the oil, then the onions. Stir fry on high heat until the layers separate. 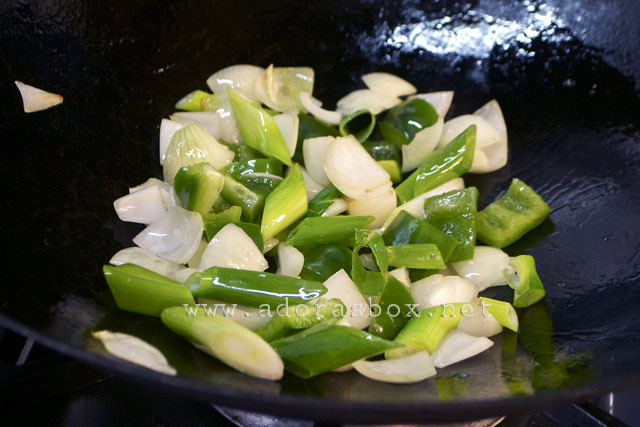 Add the peppers and spring onions then stir fry briefly, about 2 minutes. Add the ketchup and pineapple juice mixture to the corn flour dispersed in water. Add to the pan while constantly stirring, then heat up to a rolling boil. 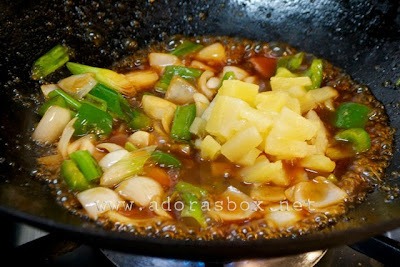 Add in the pineapple pieces and simmer for just 1 minute. Take the pan off the heat. Add in the cucumbers. Pour on top of the fried pork and toss. Serve immediately. 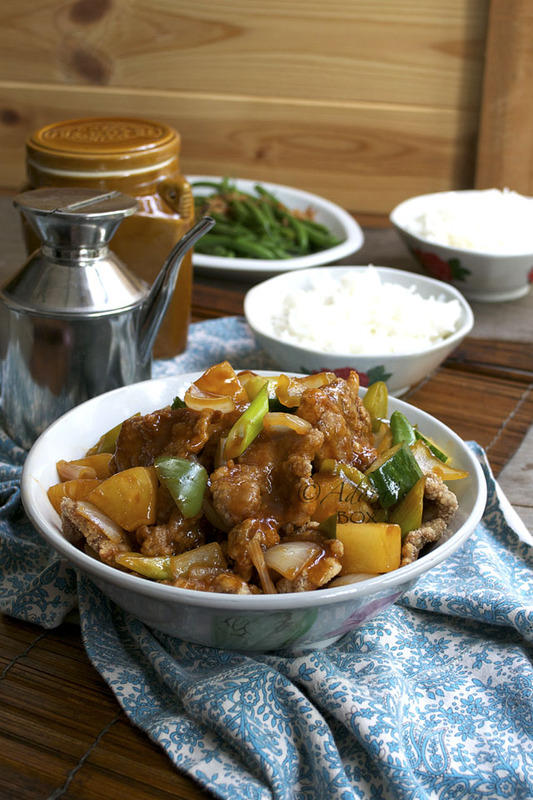 We love sweet sour pork at home and your recipe looks so easy to do. I will try this one soon. Thanks for sharing, Adora!